We don't know the half of it...or the quarter of it. At least, the vast majority of us. We know only what we know in any given moment. Meaning: in as much or little as our awareness allows. I had no awareness, for instance, of a being called Christ Michael Aton until 2008 or 2009. He's the Creator of this Universe; our God on this planet. He is the real 'God' here and beyond Him the spiritual hierarchy continues upwards, all the way up to the Source of All. I remember feeling quite shocked at first having telepathic contact with Him...sometime before 08 /09, as He was a huge presence to me. I remember Him standing bigger than and in front of our city's Table Mountain in the first intro. The mountain seemed dwarf-like in comparison with Him. I didn't know then that this presence was the being called CM Aton then. But his energy signature of joy [or is that our signature?] was ever present. His very presence would always automatically take me into a 'high', giggly, jokey space chatting to Him. And sometimes his appearances would be downright hysterically funny also. Because he'd often appear as a tap dancer, complet with top hat and I think gloves too, and would then proceed to do these private crazy funny tap dances for me. No matter my mood, it always ended with me being in joy! Perhaps that joy is the essence of our relationship. Most on this planet have a potential 'relationship' with Him[I guess apart from synthetic/robot humans. Not sure about clones.] lying dormant. We're his children and perhaps it's your time to begin your own relationship with Him. Start with calling Him by name to you. We are here on the Michael Mission then. It’s His game, His experience and as a Lighted one above CMA in rank once said to me, we [us, humanity] are ‘along for the ride’. But CMA and His Michael family and those of the Michael lines, of which there are quite a number currently on Earth apparently, cannot be divorced from the larger galactic picture. It’s one which spans eons. CMA wanted to experience the length, depth and breadth and the ins and outs of the adversarial parasites in this experiment – through us. We are One with Him, after all. So we volunteered or were asked to accompany Him for the ride and to have our own learning, growing and evolving experience simultaneously. I’ve highlighted some of these passages of Lisa Renee’s below that make reference to CMA and the Michael family, for those for whom this resonates. It’s complicated, so I’ll leave it to Lisa Renee to map out the technicalities, as she always does with such finesse. Currently, there’s been some positive moves which we, serving this Mission, benefit by. 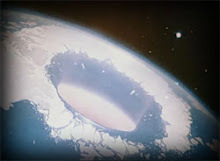 The Negative Alien Agenda’s battle for control of us -who they perceive as cattle - has again lately seen the on Earth parasites and their controllers in a flat spin panic! Why? Because the many seals that we agreed to [how crazy were we?] have imposed upon as at birth by the NAA for purposes of restricting us are now being removed. These include Death Seals, the Seals that have blocked folk from awakening and J Seals. The latter are down the left side of the body from the head/neck to the ankle. Used for tracking and ‘reading’ someone, I could often feel the one at my left hip and buttock moving around. Often pretty painful. A therapy client of mine who is awakening to herself suddenly had the activation of the seal behind her left knee recently activate during a session with huge shooting and stabbing pain there recently. So these seals have been very important control devices for the NAA’s plan fulfilment. And the removal/dissolving of these permanently is a major feat and cause for our celebration! Yay! And thank you Lighted Guardians! Because of this alone, we should be starting to see even greater more blatant signs of mass awakening from now on. But back to CMA and the Michael family history. Essentially, balance on Earth requires the full activation of the Divine Feminine principle to work with the Divine Masculine. This is the Hieros-Gamos union. The planet is going through a 6D–7D wing building, which is the first level of hierogamic union, making this level of consciousness embodiment more available to humanity now. This has special significance to the fulfillment of the Paliadorian Covenant and the rehabilitation of the Michael Christ and the Gold Ray Seraphim. Currently, a grid war over the epicenter of global control is underway through events occurring in the United Kingdom. The Family of Michael are at the center of this conflict, as they are coveted as pets for the Luciferian elite. This conflict highlights aggressive targeting towards the Christ-Michael masculine principle, through the consciousness war to gain total control over the changing horizontal rod architecture on the earth. The epicenter of the recently resurrected Gold Ray body template is found in the United Kingdom and is being run on the Michael-Mary lines to activate the Avalon Christos genetic codes related to the King Arthur lineage. King Arthur is the protector of the Albion architecture and is a Krystal Guardian Avalon consciousness that has been in stasis on the earth, until the tri-wave consciousness could return. 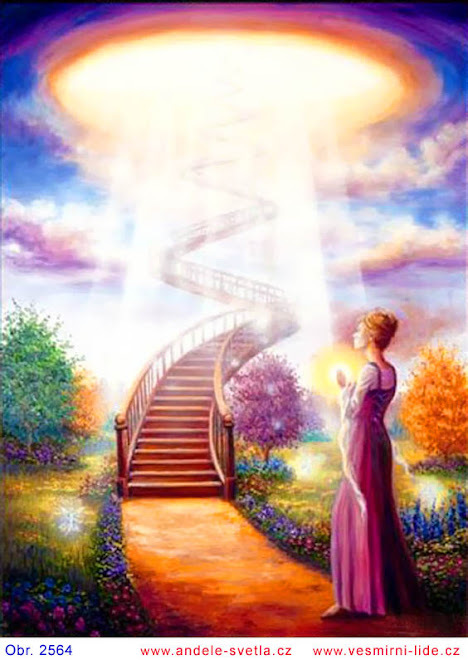 The Family of Michael genetics are being given access through the Krystal Star hosting to rehabilite the gold body core template designed for the Gold Ray Seraphim lineages. This has set the Fallen Annunaki and Fallen Seraphim hybrid lines into a retaliation and frenzy, in order to regain control of these areas in the United Kingdom, particularly the Thoth, Enki, Enlil Collectives. The Michael Mary heart twinning is the fulfilment of the seventh cycle of the Christ Michael embodiment for the Gold Ray Seraphim template in order to resurrect the Fallen Seraphim, the Fallen Angelic consciousness.